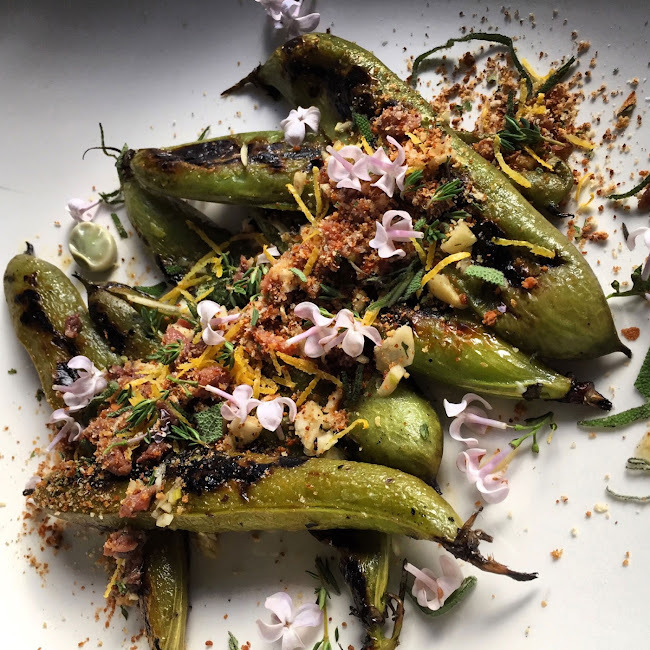 Fava Oreganata Appetizer - Nisbets Australia Blog - Industry news, trends, recipes and more! It was in 1991 when Anthony Hopkins (as Hannibal Lecter) ruined fava beans for a generation by describing how he ate them with human liver in The Silence of the Lambs, but we finally have the perfect recipe to bring them back into season. A starter is a great way to set people up for the main course, helping to boost both profits and appetites. This Fava Oreganata appetizer can even be served as a full meal with pasta. Whatever you choose, it’s sure to be a hit with customers! "Deliciously complex, salted and dressed fava beans are a fun take on the popularity of edamame as a pre-dinner snack." - Chef Rick Tarantino, M.S. 1. Clean and trim fava beans (remove ends and any remaining hard edges). Keep in their shell. 2. Boil water in a 2 quart sauce pot, boil. 3. Add fava beans. Cook for 5-7 minutes, or until almost cooked. 4. Remove from water. Drain. 5. Broil or grill for 1-2 minutes, or until scorch marks are created. Remove from heat. 6. Toss with salt and pepper. 1. Combine all of the ingredients. 2. May be made in advance. Keep refrigerated. 1. On a platter, arrange the fava beans to look slightly rustic. Sprinkle bread crumb mixture. Add extra herbs and drizzle with additional olive oil, if desired. Create a Thai variation using edamame instead of fava. Substitute daikon radish for pine nuts. Add 1 Tbsp hoison sauce (14g) and chopped peanuts (1 Tbsp, 14g). Add some fun takeaway flavour by frying the fava after boiling. Dredge mozzarella in an egg wash and breadcrumb batter, then fry. Serve with marinara sauce (155 g). Add oreganata to the top, and garnish with fresh parsley (2g). Serve this as a main course! Cook up a serving of gluten free pasta (155 g). Chop up fava beans, and place on top of pasta. Add extra coarse red pepper (2g) and 2 tsp pecorino romano cheese (6g).